As you know, Ickle and Mivvy love art. I’ve written about their various creations on many occasions, and most recently here. But I haven’t written about their passion for pavement graffiti before. 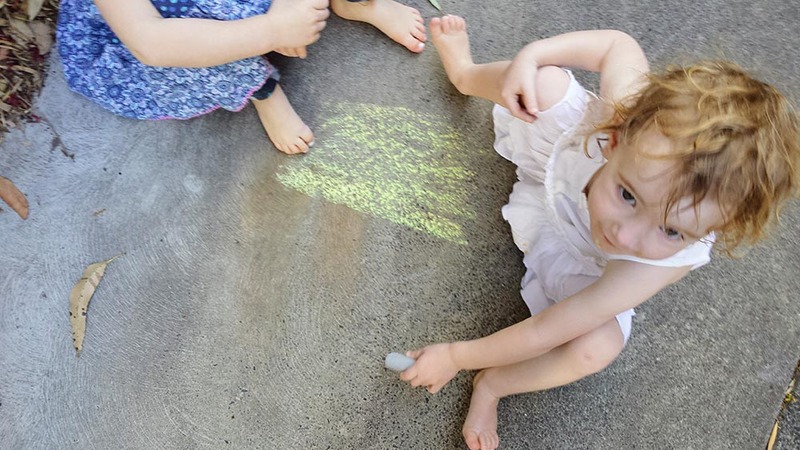 Some afternoons, the little maestros take their chalks and artistic talents outside to decorate the best canvas ever. The alley between our house and next door is a welcome retreat from the sun and the perfect spot for creative activity. 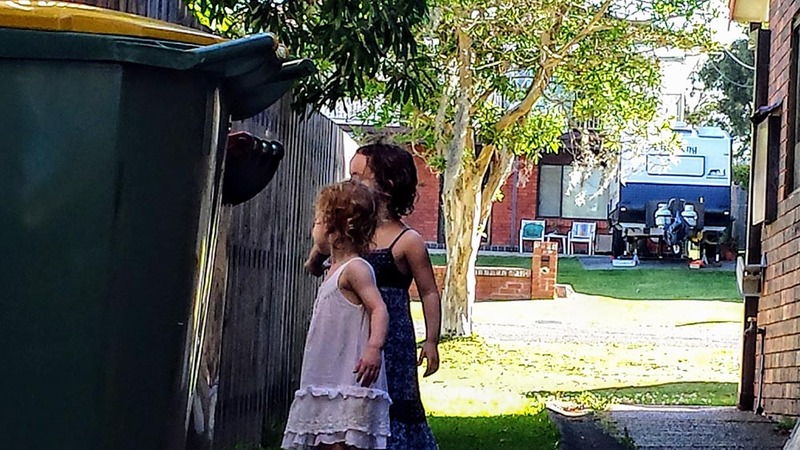 Sometimes the boys-next-door join in too and the mummies hang out by the rubbish bins while a rainbow of colour appears at our feet. This weekend, Ickle and Mivvy were the only artists in residence, but this didn’t stop them from having a lot of fun. Hello! Anyone next door? Hello! Hello! Ickle was exploring forms: parallel lines and circles in various colours. 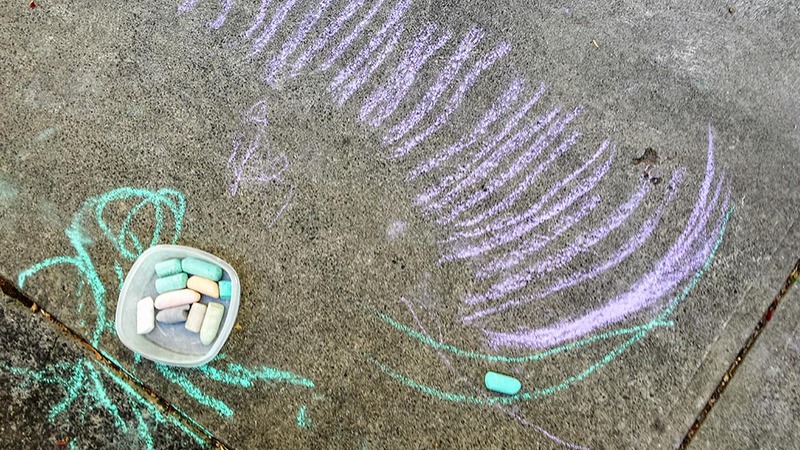 And making trails with her chalk as ants scuttled across the concrete. Mivvy drew a puddle of water in yellow, but was actually more interested in wandering up and down the alley. 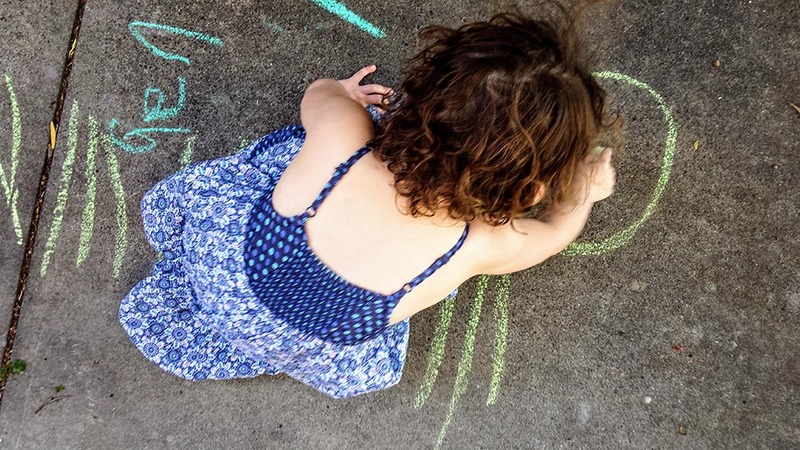 There’s no trace of their artwork now – the recent rain has washed the chalkboard clean. Don’t you just love the transient nature of pavement graffiti? This entry was posted in Close to home, Ickle things and tagged ants, art, chalk, graffiti on December 5, 2016 by Laura.